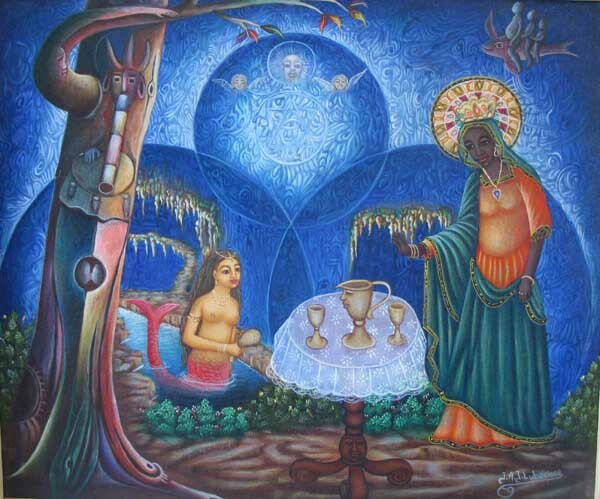 Haitian paintings by JAJ Luberisse. To view the Luberisse archive rooms, paintings that are no longer for sale, click here. Luberisse is a relatively new arrival on the Haitian art scene. He is an Artibonite painter, talented enough to help fill the shoes to the master Ismael although he looks as if he was inspired by Carlo Jean-Baptiste. His work began to appear in Port-au-Prince around 2003. At this time we have no Luberisse to sell but will have some again soon.